Everyone is agreed, natural compost is the ideal soil additive for garden and landscape. This time of year, there are piles of leaves on the ground and lots of green plant matter that needs cutting back and cleaning up, providing plenty of raw material for making compost. But winter has just about arrived. As with all biological systems, the rate of decomposition is directly proportional to the temperature, and the composting process slows down as the temperatures drop. 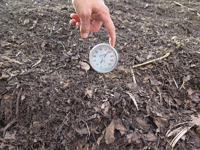 Yet, despite everything, Rodale Institute's Compost Production Specialist Rick Carr says, "Compost Happens". It's another great topic and discussion in store on #plantchat! Join @CoronaTools and #plantchat co-partner, Aaron Kinsman of Rodale Institute @RodaleInstitute and Compost Production Specialist Rick Carr, for this week's topic, Recap of Coach Smallwood's Walk for an Organic Planet. 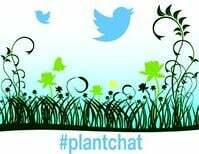 The live chat begins Monday, December 8, 2014 at 11 a.m. PST / 2 p.m. EST, were we come together with green industry experts and fellow horticultural tweeps each week to discuss all things related to plants and horticulture, since 2014.